Erase the line between Genius and Insanity! Leave a Comment on Erase the line between Genius and Insanity! Being labelled a genius puts one precariously close to being pigeonholed as insane. Where insanity is recognised as the repetition of the same action over and over, is genius not finally achieving some far-fetched goal, whether it is in science, maths, or art? History is littered with larger than life talents that we still learn about in our studies and discuss with our peers: Einstein, Michelangelo, Da Vinci, etc. 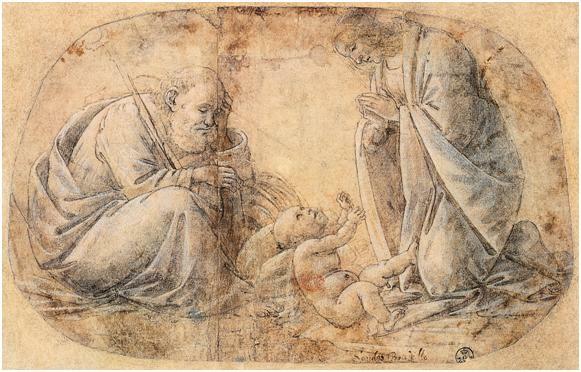 Sandro Botticelli, Study for The Adoration of the Child, c. 1495. Pen shaded with brown, white heightening, and pink wash, 16.1 x 25.8 cm. Artists made sketches and drafts of the way the human body works, whether in physical labour or dancing, to better portray the human condition in their paintings. 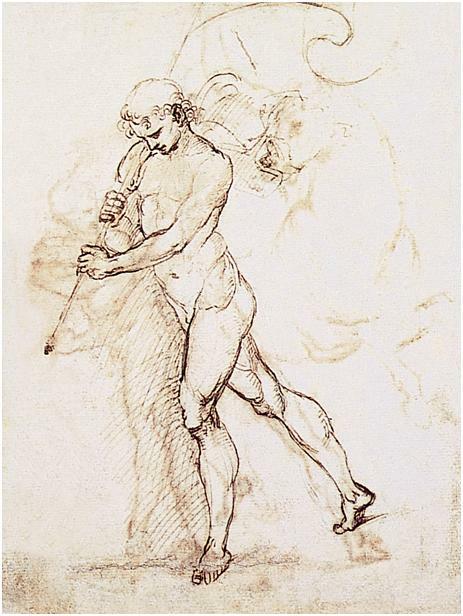 Michelangelo and Degas are not only famous for the Sistine Chapel and Impressionism respectively, but also for the way their images came to life – the strength and beauty of their depictions is only so because of their relentless repetition of drawing the same things over and over again – genius or insane? Pen and ink, 25.7 x 21 cm. This isn’t to say that always doing the same thing repetitively is a good idea. For example, I would never encourage you to keep touching a hot stove or sticking your arm in a tiger’s cage. I would, however, encourage you to continue on with whatever seemingly intelligent thing you have come up with – keep making those mint chocolate chip pancakes (which I would personally find atrocious, but, hey, I support you), or trying to solve that maths/science theory you’ve been at for years, maybe train a pet to use the loo. You could well be the next Einstein. 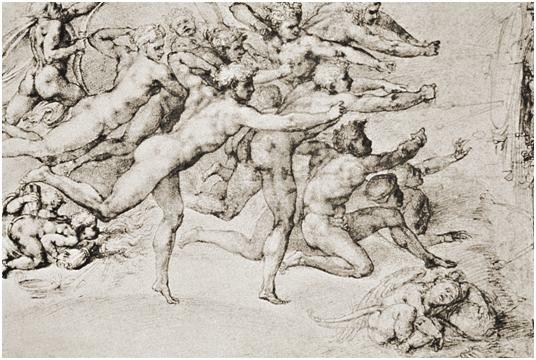 Michelangelo, Archers Shooting at the Hem, c. 1530. Red chalk, 21.9 x 32.3 cm. Check out Traits de Genie on at the Palais des Beaux-Arts in Lille through 22 July to see some of the world’s most beautiful sketches and drawings. Pick up your own sketch book and see if you can replicate (or improve upon) any of the images found in these titles available on ebook-gallery: Sandro Botticelli by Victoria Charles, Michelangelo by Eugène Müntz, and Raphael also by Müntz.